San Mateo is neighbored by Foster City and San Francisco to the East and Hillsboro to the West. This city has many lovely hiking spots as wells as to being the location of San Andreas lake where one can camp, swim, and boat. 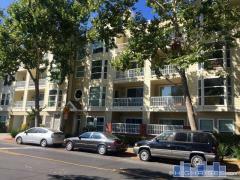 Below you'll find all the condos and townhomes currently available for sale in San Mateo, CA. If you'd like to expand your search to include single family homes you can also view all San Mateo Real Estate for sale.